One of my dearest friends and I have known each other for more than twenty years. Years ago, we both lived in the same apartment complex and often shared meals to save money. We had very little to call our own. As young single moms, we had furnished our government-issued apartments, albeit sparingly, with previously-owned, heavily-used, furniture, bedding, dishes, and the like. Often, we were the thankful recipients of other’s throwaways. We stretched every dollar, farther than imaginable. We worked long hours and often had more debt than dollars. We clipped coupons, worked multiple jobs, held garage sales, etc. – whatever was necessary to ensure we provided for our young families. There is something about my friend that struck me years ago, and it is still true today. She is the most grateful woman I have ever met. I mean, she is truly, truly grateful. Whatever the season, this girl just oozes thanksgiving. Sadly, I cannot say that I exhibit that same sense of gratitude every day. I have become increasingly aware of the lack of gratitude that many of us suffer with. There is a seemingly growing trend among people who have a sense of expectation that something is somehow owed to us for our very existence. Do you know what is owed to us? Death. We are owed eternal separation from God, according to Romans 6:23. But God, in His amazing grace, chose to send us a Savior. God paid the price for grace we never deserved. When has it been acceptable to be angry about not getting something that no one ever owed us? It seems that many of us think that what we have is never enough. We always want more. If we’re hungry and the food bank is passing out bread, we want two loaves instead of just one. If the church is giving away free coffee after Sunday service, we’re irritated that it isn’t Starbucks and not just a simple off-bard. If we’re single, we want to be married. If we’re married, we want a better spouse. We want to be thinner, prettier, and richer. We want a good job, then a better one. Then, that job is no longer the best job, so we search for the next job. And we’re raising children who are just as bad. They often aren’t grateful for the new toy, they want the best toy. They aren’t sensitive to financial boundaries, because culture (that’s us) permeates the greed of more, more, more. And the pursuit of that façade will never make us happy or fulfilled or thankful. As a child, can you remember possessing a sense of wonder about the world? Do you remember looking to the sky in awe of how big and blue and impressive it was? Do you remember saying childhood prayers where you thanked God for the flowers, the trees, and the very air you breathed? We were thankful for moms and dads and sisters and brothers, a roof over our heads, and food in our bellies. What age does that shift? When do we stop being thankful for the little things and the big ones that God has provided? When do we determine that only the ones we deem big are worth thanking God for? In fact, what gives us the right to even categorize any of God’s blessings on our lives as small? We need to shift our perspective today, friends. We need to be focused on gratitude. Consider, What are the things in my life that I can be thankful for, not the things in my life I lack? There are some things we need to understand about our circumstances in order for us to shift from complaining to gratitude. My provision doesn’t look like your provision. What I need in my life is different from what you need in your life. Maybe you’re in a season where God wants to show you some things, so you don’t have a lot, and you’re learning to navigate on just a little, or you’re learning some things about the wilderness, He’s teaching you some things about faith. Or maybe you’re in a reaping season, because you’ve sown lots of good seeds and God is blessing you in this season. Sometimes, God hasn’t given us what we asked for, because we don’t need it, or maybe we haven’t been faithful with what He’s already done. Sadly, many of us are grateful for God’s provision for about 30 seconds. Then, we move on to the next thing we want. God always has a plan. When the Red Sea was parted, it wasn’t this last-minute, impulsive move on God’s part. He always knew he had a way. He has a plan and purpose for you, as well. Take some time to journal what God is doing for you. Write it down and save it. Create a gratitude journal or a gratitude jar. Look back over the months and years of how faithful God has been. God will always do more than we think. He will provide in ways that we can’t even think about asking Him for. He’ll do things that are substantial, miraculous, earth-shattering, and life-changing. He knows what He’s doing. Trust Him to do it and get grateful about it. What you choose to focus on matters. Exodus 16:9-10 says, “Then Moses said to Aaron, ‘Announce this to the entire community of Israel: Present yourselves before the Lord, for he has heard your complaining,’. And as Aaron spoke to the whole community of Israel, they looked out toward the wilderness. There they could see the awesome glory of the Lord in the cloud.” Just a couple of versus before they had been complaining about what they didn’t have. In fact, verse 2 indicates that they had been complaining about their circumstances, even before that. When you choose to shift your perspective, you can see God’s handiwork all around you. We may not have everything we are praying for right now, but there are others with greater needs, greater lack. God is a good God who provides. What do you have? Do you have healthy children? Do you have a roof over your head? Do you have access to transportation? Do you have a best friend? Do you have a loving church? A job? Education? Breath? If we aren’t grateful for THIS thing, we will never be grateful for THAT thing – whatever that thing is. It’s so true. That new hair color, promotion, ministry opportunity, car, job, house, friend, boyfriend --- none of those things will ever do. Because we are always choosing to focus on the next best thing. Contentment is a choice. Choose to be grateful. Paul writes about this so famously in Phil. 4:11-13, and I’m paraphrasing, “ I have learned to be content with whatever I have, whether a little or a lot, empty stomach or full… and he finishes with, For I can do everything through Christ who strengthens me.” In other words, God is going to give me what I need in the season I need it, so I’m going to choose to be thankful for where I am and what I’m doing right now. .
What is in your life right now that was meant to be a blessing, but is now beginning to stink, because you haven’t obeyed? When God gives a command, He’s not messing around. It isn’t optional. Submission, in today’s culture, has become a dirty word. Submitting to anything has become offensive. Some may even say, “Do what you want to do. You are free to live how you want to live.” Yes, God has given you a free will to make choices, but His perfect will is that you obey Him, that you trust the plans he has for you. We get into trouble when we choose not to obey. Moses led the Israelites out of Egypt. But his disobedience left him dead in the wilderness. He never entered the Promised Land. He chose to disobey God and what’s worse, He chose to do it when others were looking. Ouch. That's a tough verse. We have to get better at obedience. We have to learn to be thankful for all God has done and recognize that his guidance for our lives isn't some rigid set of rules, but rather a loving father whose gentle hand is guiding us and protecting us. The truth is: We have all that we need for today. We can do all things through Christ. we are blessed and highly favored. we are called and chosen. So be thankful. 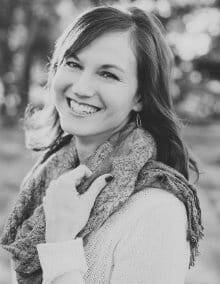 Jennifer Maggio is a national author and speaker, mom to three, wife of Jeff, and CEO/Founder of The Life of a Single Mom Ministries. She is chauffeur, chief dishwasher, carpool queen, and duct tape aficionado. But more importantly, she is passionate about teaching women how to find complete freedom in Christ. For more information, visit www.jennifermaggio.com.